Halloween is nearly upon us, and all the best ghost stories get pulled out this time of year. 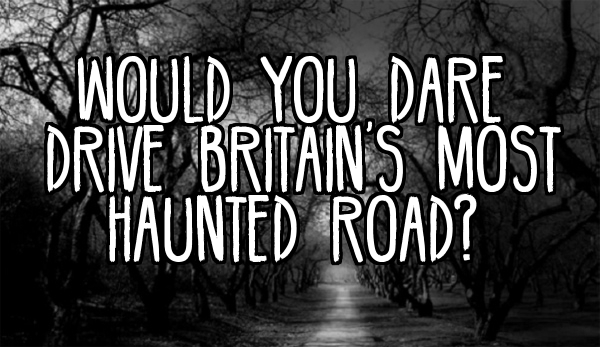 But, have you heard about these allegedly haunted roads? Easirent’s Social Media Team is setting out on a spooky road trip to debunk some urban myths! For over fifty years the A75, Kinmount Straight in South West Scotland has been the scene of numerous hauntings. Reports of paranormal activity have been frequent enough that the road has been nicknamed ‘the Ghost Road’ It is thought to be Scotland’s most haunted road and has received hundreds of reports of unexplained sightings. In 1957 a truck driver saw a couple walk in front of his truck and he thought he hit them. When the driver stopped to investigate the couple were nowhere to be seen. In 1997 Donna Maxwell, 27, was convinced she had hit a man in the road whilst driving along the A75 near Swordwellrig with her two children. Travelling at 50 mph she saw the man jump out in front of her, about two feet in front of her car. He was in his 30’s, with short hair, wearing a red top and dark trousers. She braked hard, involuntarily closing her eyes and bracing for impact. When she opened her eyes, the car had stopped but there was no sign of the man. She contacted the police and the area was searched but there was no evidence of an accident. A description of the accident issued to the media a week later failed to provide any further explanation of the accident. A scary story, or something else? Would you dare drive this road at night? 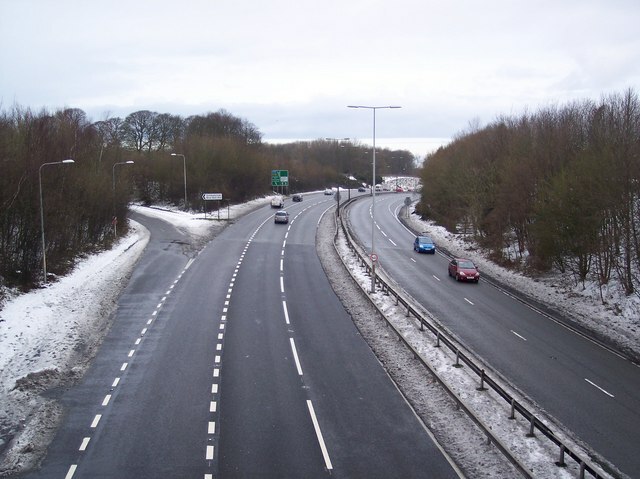 While it is not so much the road that is said to be haunted, as the land that it is built on, this bypass (A616) essentially links Sheffield to Manchester. Local legend has it that a monk, who hundreds of years earlier had fallen out with the church and was disillusioned with his religion, was buried on this land in an unconsecrated grave. He is said to still roam the area. Numerous reports from drivers state they have suddenly seen the monk standing by the side of the road, and some even report to have found him sitting in their car, next to them! Even during the construction of the bypass in 1987, construction workers began reporting strange sounds and phenomena. There is an official report from PC Ellis about the unexplained events at the Stocksbridge bypass. In fact statistically the road has one of the worst accident records in the region and there are many stories of a child or other figure suddenly standing in the middle of the road, causing motorists to swerve their vehicles out of its’ path. This urban myth has had many men puzzled, but would you fancy visiting this road? If you are faint of heart, this road is not recommended. 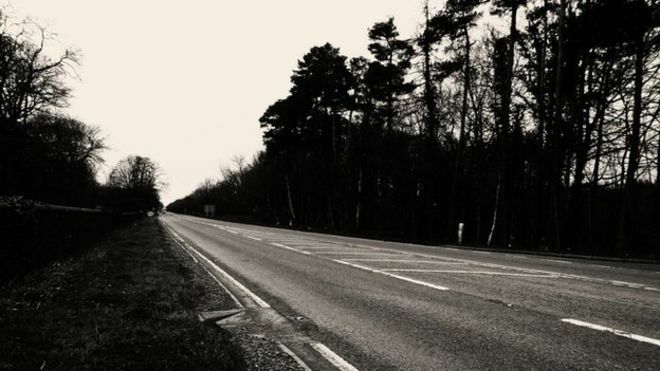 Another contender for England’s most haunted road is the A229 from Sussex to Kent. The local constabulary are not strangers to calls of people plowing into pedestrians, more specifically, a woman in white, only to lose track of the body. The ghost lady is generally regarded as that of Judith Langham, who was tragically killed in a collision of her wedding day, still in her dress. But there’s more. It has been the site of other disturbing events, including a hitchhiker who can be seen hiking near a well-known pub in the area. When the hitchhiker gets into the car, he will tell you all the things that have gone wrong in the world and how he will make them better, but once you reach a certain spot on the road; he disappears from the seat to start this short journey all over again. The M6 is the longest road in the country, so it makes sense that there would be the most sightings along it’s many counties. 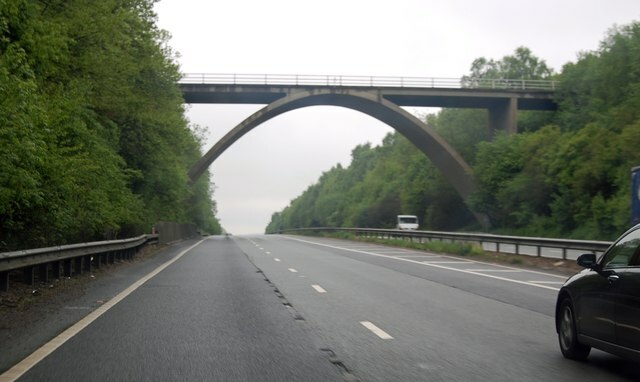 After years of weird goings-on in lonely lanes or moorland crossings, the M6 has recorded more alleged sightings and spine-tingling feelings than any other route in the country. Some of the ghosts seen on this road include Roman soldiers, a Victorian-clad man, a ghostly woman and a lorry driving against the flow of traffic. Motorists have also reported eyes looking out from bushes in Platt Lane, Leigh, Manchester – the scene of a mining disaster years previously. 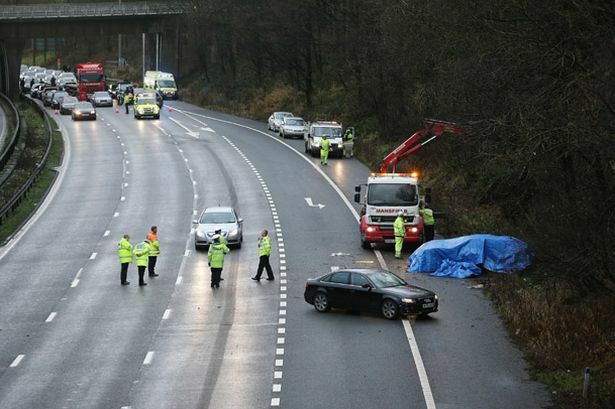 Oddly enough, there have been a number of fatalities on the M6 recently and the perfectly straight stretch of road with few distractions at the side between junctions 16 (Crewe) and 19 (Knutsford) is a well-known accident blackspot. The locals and the policeman all agreed that many of the accidents had been caused by drivers who had been distracted by ghostly apparitions. Many of us drive this road everyday, but have you ever seen anything unusual? If you’re in the mood for a thrill, you could take your life in your hands and drive down the A21. At the spot where the new dual carriageway intersects with the old Gracious Lane, several drivers have reported that the road in front of them “disappeared”, and a phantom road appeared instead, bending to the right. Ghost hunters have attributed some fatal head-on collisions to this phenomenon, which we have to assume is the ghost of Gracious Lane itself, heartbroken at being split so rudely apart. 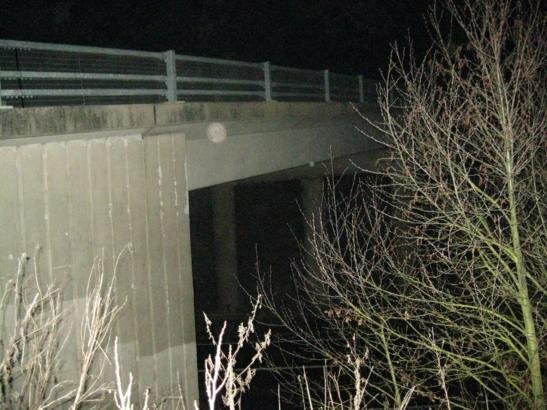 Reports of deaths from the The Gracious Lane Bridge, which passes over the A21 haunt this town with its’ unexplained mysteries. It’s also been known for a motorist to think he’s knocked down an old lady with white hair, who’s wearing a fawn coat. When he gets out to investigate, naturally there’s no-one there, but usually there’s another driver on the opposite carriageway who thinks he’s had a similar accident. It seems an elderly woman was killed in that area back in 1959, and according to police accounts, her re-appearance always involves two cars rather than one. Have you had any spooky encounters? Whether driving a familiar motorway or taking a detour down a country lane, we’ve all seen things we weren’t sure of before – maybe now’s the perfect time to go on a Ghost Hunt with your friends. Hire a car from your nearest Easirent branch and tweet us with your Halloween stories!